In a time of political turmoil and religious upheaval, Richard Sibbes preached Reformed theology with heartfelt zeal. Known as “the quintessential Puritan,” Sibbes preached no dry doctrine but instead applied the theology of the Reformation to his hearers’ lives, especially in the areas of the assurance of salvation and the place of the heart in the Christian life. 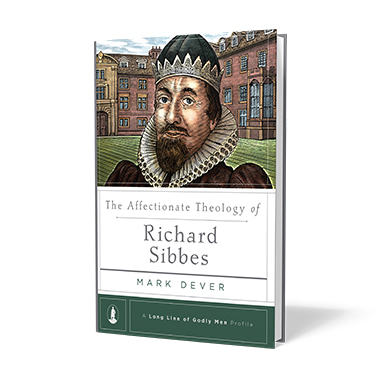 In The Affectionate Theology of Richard Sibbes, Dr. Mark Dever introduces us to the life and theology of this fascinating 17th-century figure. This book is the latest installment to the A Long Line of Godly Men Profile series edited by Dr. Steven J. Lawson. Available now from ReformationTrust.com.You can also browse the full collection of biographies.